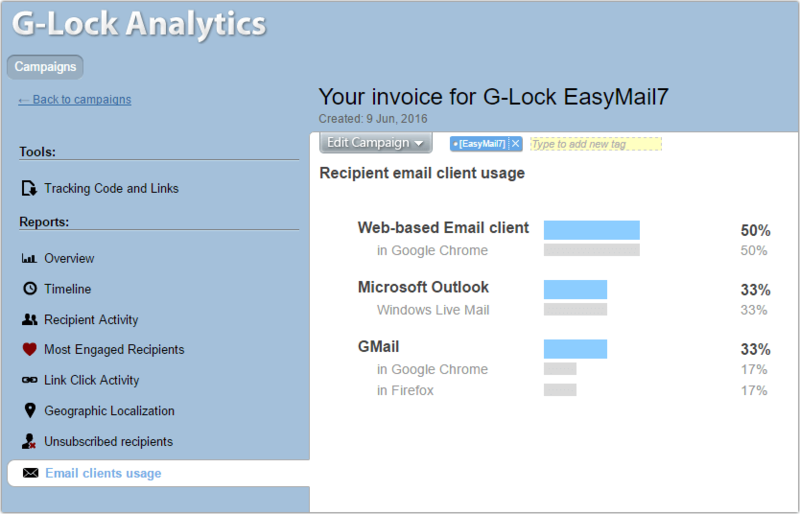 G-Lock EasyMail7 is integrated with our email tracking service G-Lock Analytics. G-Lock Analytics is a cost-effective web service to track email campaigns in real time. You can easily track your email campaigns all over the world and clearly understand who from your customers are most interested in your emails, or what part of them they like more. If it redirects to our http://glockanalytics.com/about/emltr page, the script is working and can be used for tracking. Redirect Script URL: type the URL of the redirect script on your website.